Idles about. Occasionally spawns a black Defile puddle underneath itself. Tears at the enemy with plagued claws, dealing 433 Undead damage. Deals 59 Undead damage to the enemy's active pet every round for 9 rounds. Persists through pet swaps. Instantly kills the user, causing 15% of their health as Undead damage to the enemy and infects the target. Infected targets receive 5% of their maximum health as Undead damage every round for 4 rounds. I finally broke down and bought this dude on the AH and he was NOT cheap believe-you-me! Still in my mind it was better than running Lich King "another" 60 times! Did I mention there was only ONE listed on the AH and he was a "meer" 20,000 gold?! For what it's worth, the loot table for Lich King shows Drudge Ghoul on normal 10 man, and normal 25 man only, just click your adventure guide inside there. If there are confirmed reports for herioc, that's cool too, but I'm gonna farm normals for a while, and see what happens. This dropped for me on H25. Took me 5 tries. I have not seen the Wicked Soul drop on any of the attempts. Going to start farming N25 for that. I fought the Lich King twice since the new expansion. Once on 25 man Heroic and it dropped Wicked Soul. Then today I played on 25 man NORMAL like other commenters said to do and Drudge Ghoul dropped :D I must be lucky! If you havn't gotten this pet on Heroic, try on NORMAL it may drop for you. Second time I tried, got the drop on 25 normal. I wish you all luck on the drop, maybe I was lucky, can't say anything about the drop rate. 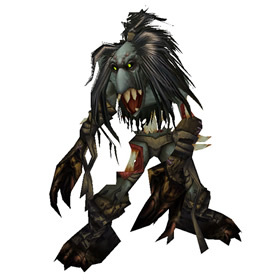 As of writing this I am up to 72x 25m Heroic kills since 7.1 dropped (10 toons a week), the only pet I haven't seen drop off the "Raiding with Leashes IV" is the Ghoul. The drop rate on this one has to be terribly low. I see reports of it dropping on both difficulties on wowhead & here, can we confirm if Normal has a higher chance to drop? The drop rate on this one seems pretty awful. There aren't any being sold on my server and I can't get one to drop to save my life. I have every single other pet in wrath of the lick king! Been trying to run it on normal since many forums say that's where it drops but no go. I've probably run this raid about 20 times so far. It dropped from Herioc 25m Lich King fight for me. I have ran a lot of my chars through the raid for the new pets and I would estimate it took about 20 kills before this one dropped. I have not seen the Wicked Soul drop yet. I have killed the Lich King on 25 Heroic 20 times and he has not dropped for me. The other pet has dropped twice. Plus, I never see this pet in the AH. So I assume he is rare. Guess I will keep trying (maybe I will get Invincible - 168 tries and none). This pet drops from NORMAL Lich King, 10 or 25 man. The Wicked Soul is also from Lich King, but it drops on heroic only. I'ld say not... 10 kills no drop for me. One of innumerable ghouls summoned by the Lich King in his final battle, left to roam the world for eternity.